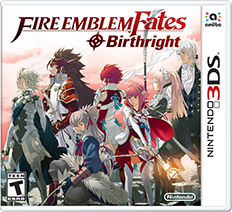 For the first time in the series, Fire Emblem Fates will be released as two separate versions: “Fire Emblem Fates Birthright” and “Fire Emblem Fates Conquest“. The version you pick will determine which of the two nations you side with and the progression of the story. Birthright – Ally with Hoshido; possible to train outside of the story. Conquest – Ally with Nohr; not possible to train outside of the story. If you cannot choose one side over another, you can purchase the other campaign as DLC, for a discounted price. 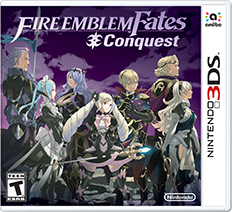 So if you bought Fire Emblem Fates Birthright, you can buy the Conquest as DLC and vice versa. Fans worried about having the game split in half needn’t worry; each version by itself contains about as much content as the previous game, Awakening. So you won’t be paying for half a game if you buy one version. There is also a third version, known as Fire Emblem Fates Revelation, only available as DLC. In this version, you can enjoy a full-length story where you don’t side with Hoshido or Nohr. Revelation costs the same as the Birthright or Conquest DLC and, difficulty-wise, it sits between the two. Because of the nature of the story, it’s recommended that players play Revelation last. If you’ve gone the premium route, the special edition of the game includes both campaigns on one game card, plus Revelation other trinkets. For all versions, upon completion of Chapter 5, a save will be created on your 3DS console. If you ever decide to play a different campaign, you can start from your post-Chapter 5 save rather than from the very beginning.